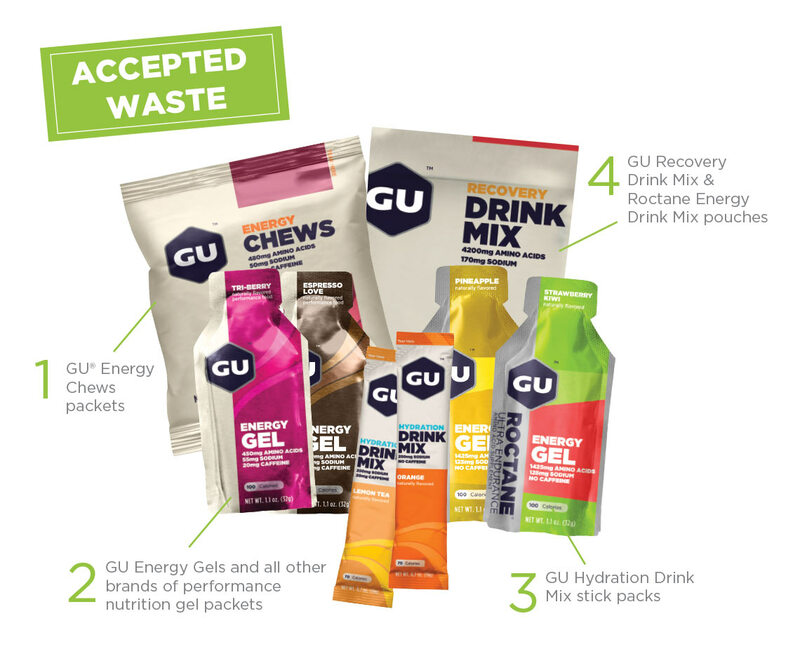 Recycle all performance nutrition packets and packaging through this program. Please see the below image for examples of waste that are accepted through this recycling program. You may download this image as a useful poster by clicking here. Which brands of performance nutrition packaging can I collect? You may collect any brand of waste for this recycling program. Please refer to the accepted waste poster for the type of waste that is accepted. No, your shipment can be any size to earn points for this program. 1 point per unit of waste will be awarded. How do other participants collect performance nutrition packaging? Unfortunately, we do not have a Spotlight Location for this recycling program. For our full list of Spotlight Locations, please click here. TerraCycle runs completely free recycling solutions that are made possible by our brand partners. For a complete list of our free reycycling programs, click here. TerraCycle's free recycling programs are open to all U.S. States EXCEPT for Alaska and Hawaii. If you live in Alaska or Hawaii, your account will be automatically deactivated and your location will not be able to print or request labels. We apologize for the inconvenience and hope to have recycling programs running in those states and territories in the future. To recycle your waste, all you have to do is join at least one free recycling and start collecting the waste stream indicated on the program'd page. This is when you can get your friends and family involved! The more people collecting with you the more waste you will divert from landfill. Please note: When you sign up for TerraCycle you need to complete one more step before you can start recycling. You have to join at least one of our Free Recycling Programs. When you join a free program you can begin recycling that waste stream and earning any applicable rewards. To earn TerraCycle points, your shipments can be any size. Each piece of waste your location sends in will earn you 1 TerraCycle point. For most of our free recycling programs, you can earn a TerraCycle point donation per unit of waste recycled with TerraCycle. For example, in the Drink Pouch Recycling Program you can earn approximately two TerraCycle points per drink pouch you recycle with us. Further, if you do not send in a shipment for six or more consecutive months in each of your free recycling programs, you may be removed from the program in order for us to allow another participant the opportunity to collect and send waste. For more information, please see our Terms and Conditions.